I love that I can send a fax without being at a fax machine. I can log into ring central on my laptop or desktop and upload documents to send to any fax number. I can even send faxes through my email, which is perfect for mobile cell use. The app for Ringcentral on mobile phones has not yet integrated faxing into it. That would be the easier than using an email, but I use the fax feature from the website on a PC more than accessing it from my phone. We have eliminated landlines and can make our sales team completely mobile. They do not need to be in the office to send important fax documents to clients. I like the fact that you can fax things fairly quickly - it's easy to use in email format (example: 2734469999@rcfax.com) You simply type the fax number, and follow it with the @rcfax.com. Attachments send really quick, and it's not difficult to get the hang of. Our company has used this for multiple years, and plan on continuing to use it. You are able to integrate the fax with phone features, and install company phones linked to the same service. 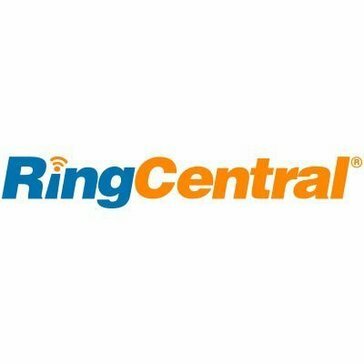 That is a really unique perk - RingCentral has a very competitive group pricing plan that varies based on how many users will be involved in the service. Nothing honestly. The service is good !!! Only thing I would change is the ability to view your faxes in a separate app. Once the fax is sent it is out of your hands. You can't go back and see which attachments you sent, unfortunately. 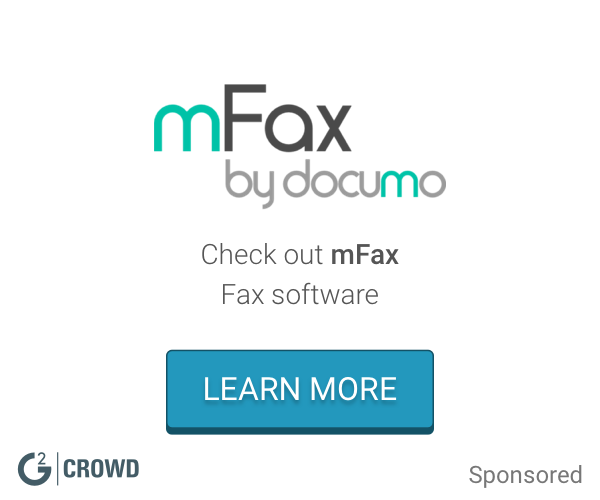 If the company were able to launch their own app where you can review the faxes after sending them I would be much more inclined to invite others to use it. Regardless, it is a good service and my company still utilizes it as opposed to the competition. Use it for a year, and if it doesn't work try for something else! I've been using it to streamline the way I communicate with customers. I've realized that it's important to fax all of your customers - same with email, and phone communication. I've liked the service. "A perfect fit for our needs"
I like best that it allows us to not actually have to use a physical fax machine. We can just upload PDFs and it will fax it where it is needed without us having to actually print the document, walk over to the fax machine (which is far from my office). It reduces interruptions into the flow of what i'm doing. Love that there are tons of cover sheets to choose from as well. I have found that they don't always go through but that's the same with any fax machine. Nothing else really comes to mind that I disklike. use it with all of their other products is even better. The phone, texting, meetings etc.. I use it on the softphone on my computer so EVERYTHING is in one place and it's great. Prevents interruptions in my day from having to get up and walk over to our actual fax machine. I like that my phone, texts and fax are all in one hub. When faxes come in, it goes to my email which is where I spend a good amount of my day already. "Good service for sending quick faxes"
How easy it is to use service, can sand and receive fax documents without having to pay for extra fax number. How many steps it takes to fax a document. I wish there was a way to have RingCentral access your scanner/copier for easy fax uploading. Getting important documents faxed over to suppliers, vendors and customers. "faxing incoming and out going faxes within the app"
"RingCentral is a user friendly resource every office should utilize." I like the ability to block solicitor or robocalls from our call log. We recently uploaded a custom mp3 as our company hold music and the whole process was easy start to finish. Fax is still a relevant form of communication especially when it comes to sending proofs of brochures or for invoicing purposes. I don't like how it separates the phone system and the users. All offices should utilize this feature! It is user friendly and efficient. RingCentral Fax allows us to communicate with clients more quickly. "Fax software, it's works, nothing fancy"
Yup, it just works. Import a doc, type the number, hit send. Nice to use software instead of standing over a machine, waiting for it to finish. Nice that everyone, via their DID, gets their own fax number, no looking through every received fax to figure out who it's for. If you use the RingCentral app, you already know it's kind of a mess. A bunch of things crammed into one, vague icons, just not the easiest to maneuver around in. I absolutely love that faxing is simple and easy, not to mention ring central has a huge allowable file size! There’s nothing I personally dislike about using the app, it has always been user friendly and I receive any faxes sent to me, as well as I have had no one complain of not receiving outgoing faxes. You can write faxes quickly and easily, as well as viewing them. No ink refills, it’s all electronic! "Easy solution for old form of communication"
The confirmation that my fax was delivered. After each one I sent, it was great knowing I would get an email confirming everything went through smoothly so I could follow up with the receiver. While it was minimal, once in a while the fax would not go through when using their email function to send it. I then would have to go to their website and attach the files and send a fax through their platform. Not the biggest deal in the world but it was nice and simple when the email function would work. Being able to send faxes without having to use an old fax machine. I really enjoy the fact that the app can be used across multiple platforms and is very user-friendly. I also enjoy the fact that my faxes pop up like an email and not a typical outdated fax. I really wish there was an archive option, a way to store them up in a cloud or some type of data back up option. I really enjoy the integration of all the Ring central applications. Property Management requires me to be out in the field. Having my phone faxes and contacts available at all times is extremely helpful. It can be a little slow sometimes and the app can be kind of buggy. They have put out alot of updates to fix some issues. Fax simplicity. Being able to send faxs more easily. "Time saving & easy to use"
Ring Central fax goes through our internet so it doesn't block our phone line when in use. Have been using this product for a couple years and so far so good! Being able to securely send credit card details to pay invoices and such. "ringcentral, calling, faxes and more "
We solve the problem of using paper fax. By saving it directly into the computer we are able to save time and clutter. "The software is seamless and allows integration with other apps and makes it easier"
I like that Ringcentral also offers a chat service, phone service and its all connected. Sometimes it can be glitchy and give you information about calls and such that you don't want. In other words, unwanted notifications that you can't stop. its great and could make everything more seamless. No longer need to use a physical machine and makes faxing much easier when its virtual. "Who doesn't love a good fax?" I like that I can receive a fax to my personal direct phone line. I can have benefits faxed to me from various health insurance agencies. I do not like that at times the faxes come in as voicemails. Having a hard copy document of benefits checked rather than relying on a reference number for a phone chat with a rep.
"Good eFax service, easy to use"
The desktop client is easy to navigate and understand. It is slow to load on the screen, and not easy to navigate the extra features. RingCentral is a very easy to use solution for simple faxing and receiving. We had difficulty linking emails and seeing all faxes with previous products. RingCentral had a simple solution for that. I love that you can easily send and receive faxes using ring central and your scanner without the use of an actual fax machine. It makes life so much easier! I dislike the amount of updates we have to do but I understand that technology changes rapidly. I do not have any problems with the program. I like that ringcentral fax lets me scan and fax electronically, while scanning my documents it enables me to store the document in the clouds. It really simplifies my work load. Although it's convenient, there are times where I do have to reattempt the fax multiple times for the fax to actually go through. Works just fine for what I need it to do. Pricing seems fair for what we require of it. "It works perfectly for our company. Great virtual phone app!" "RingCentral is Very Hard to Work With "
Their easy sign up and use of procduct. They have the worst implementation & support of any saas product. Use another platform, god forbid you have an issue. Voip, and organizing a central phone system. * We monitor all RingCentral Fax reviews to prevent fraudulent reviews and keep review quality high. We do not post reviews by company employees or direct competitors. Validated reviews require the user to submit a screenshot of the product containing their user ID, in order to verify a user is an actual user of the product. Hi there! Are you looking to implement a solution like RingCentral Fax?